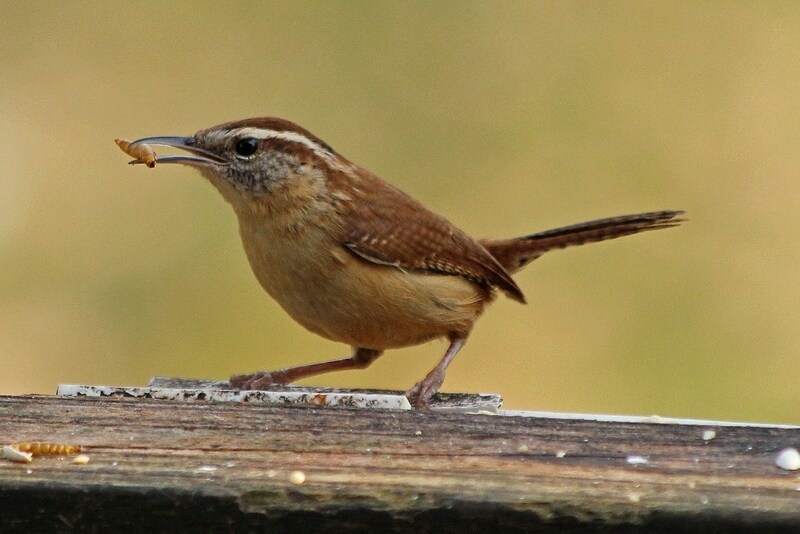 Carolina Wrens are such fun and friendly birds to have around. 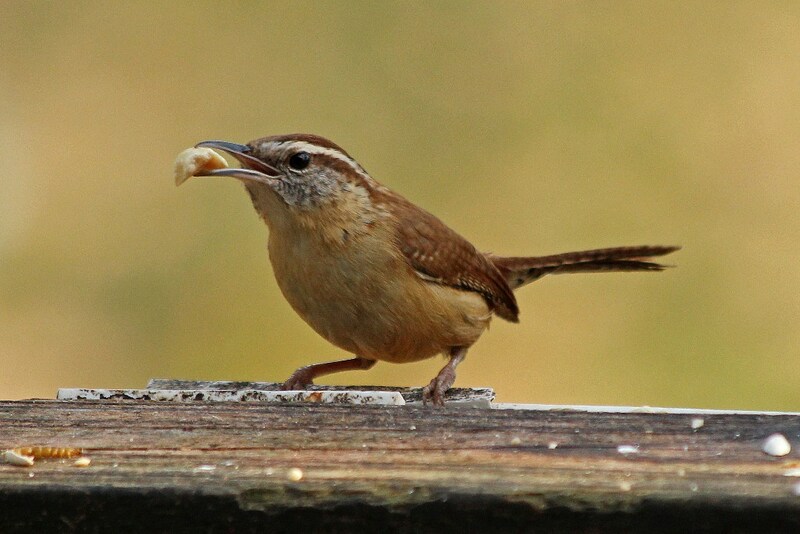 Garbed in coppers and creams, these little songsters are perpetually perky, but when it comes to food, not the least bit picky. And they are peanut crunchers. You can’t help but smile when you see one since they always seem to have a pep in their step. …these birds are an absolute delight! 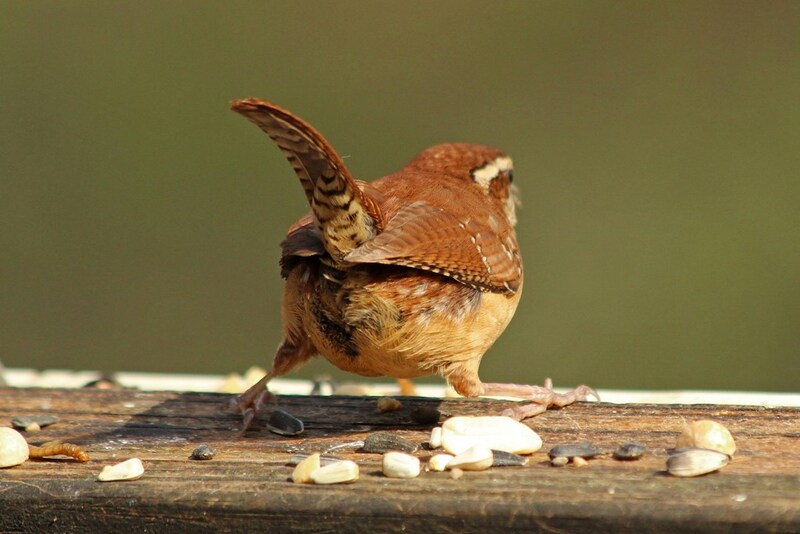 This entry was posted in Backyard Birds and tagged backyard birds, birds, Carolina Wrens, creativity, hobbies, nature, photography, wildlife. Bookmark the permalink. 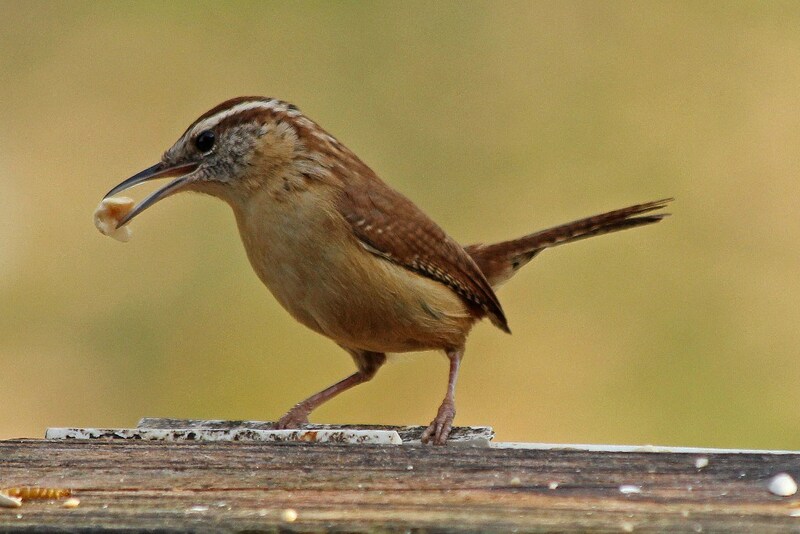 Fascinating – Your Carolina Wrens certainly look similar to European Wrens but more athletic. 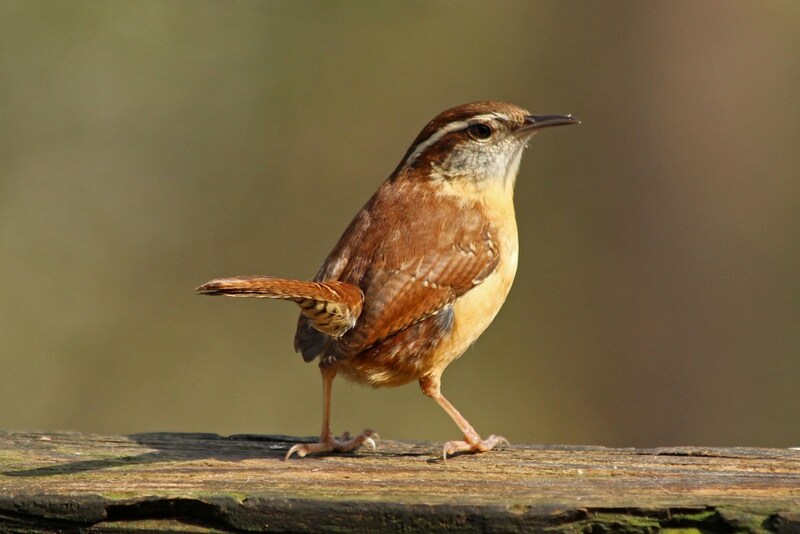 Apparently wrens are know as “king of the Hedge” in German. There is a very ancient fable about of the election of the “king of birds”. The bird that could fly to the highest altitude would be made king. The eagle outflew all other birds, but he was beaten by a small bird possibly a wren that had hidden in his plumage. Great pics! 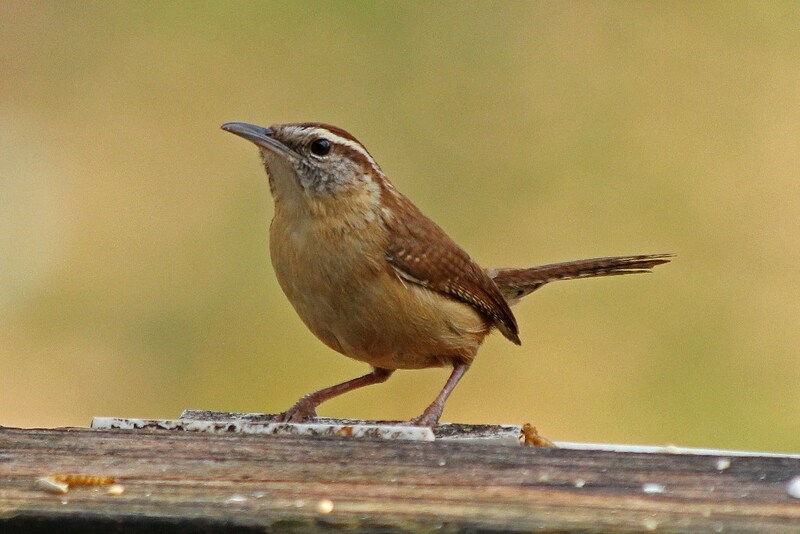 Wrens are my favorite! I love their personalities and song. 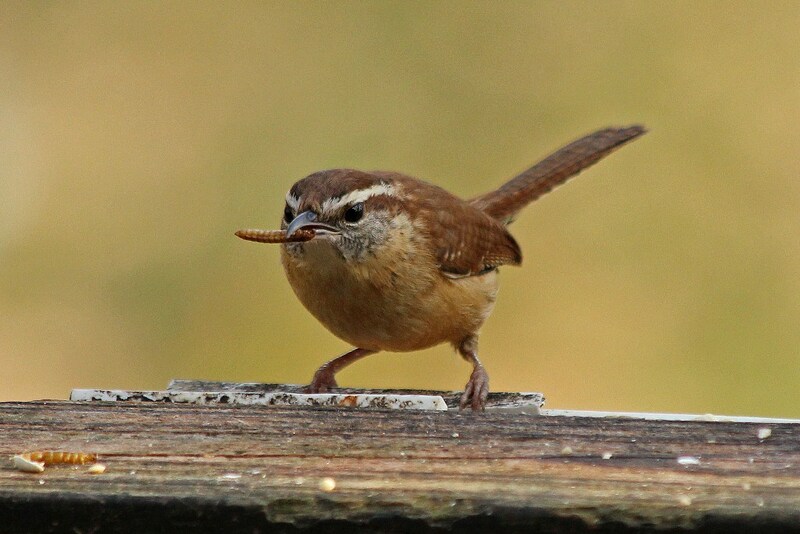 I have Bewick wrens here. Great birds. I love the pep in their step.Thanks for the pictures!